On your marks ... get set ... Gooo ! the new DoS Endurance Edition .... Edition IX ! The concept stays the same ! A multilap Race, 12 laps, on a "Pure Dirty" map. at 21:30 we go for a Warm-Up of 2 laps - 5 mn, then start again for the Race on the 7 servers ! and we'll give too 1pt for every player finishing his race after the 100th. this system will be activated at the 4th race result. We're waiting for many players again, the »ÐøS«Team will open the DoSLand doors with big maps we hope again ! Share the info ! Get hots your Engine, clean your fairing ! The Best of Dirt ... that's for April 2016 ! 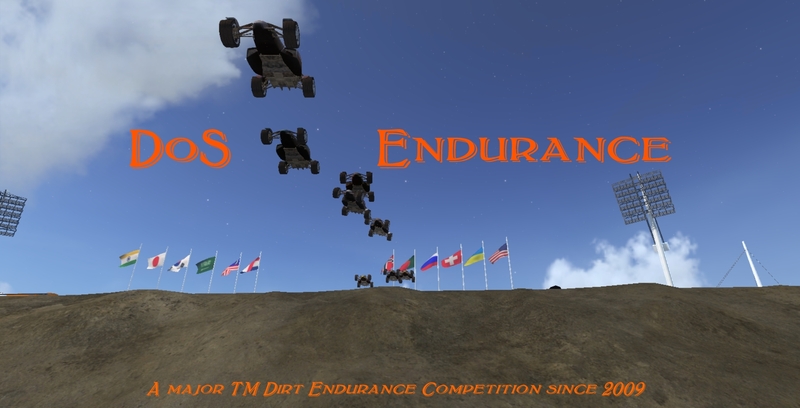 All replays from tm-live stay always available on DoS Endurance Forum and on it Facebook's page.